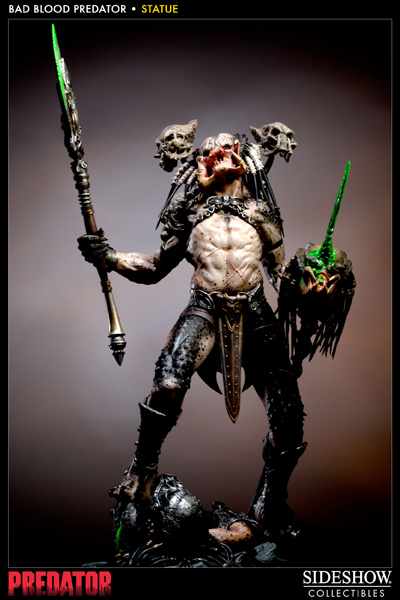 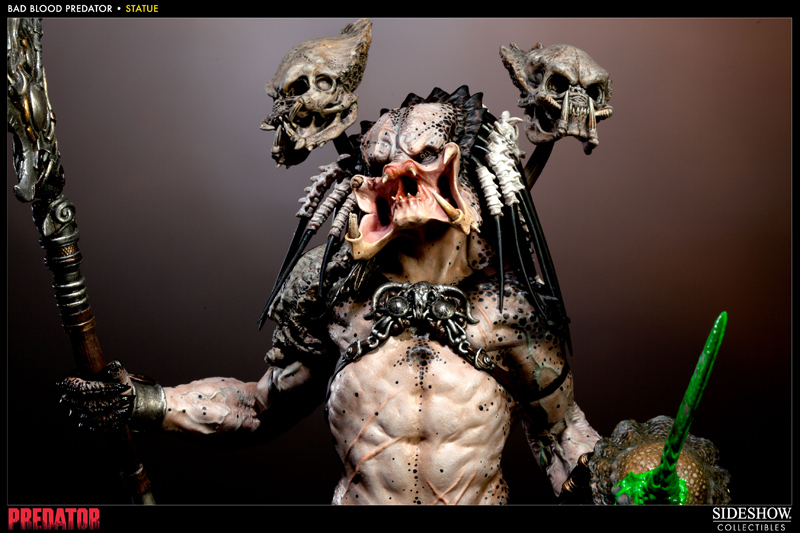 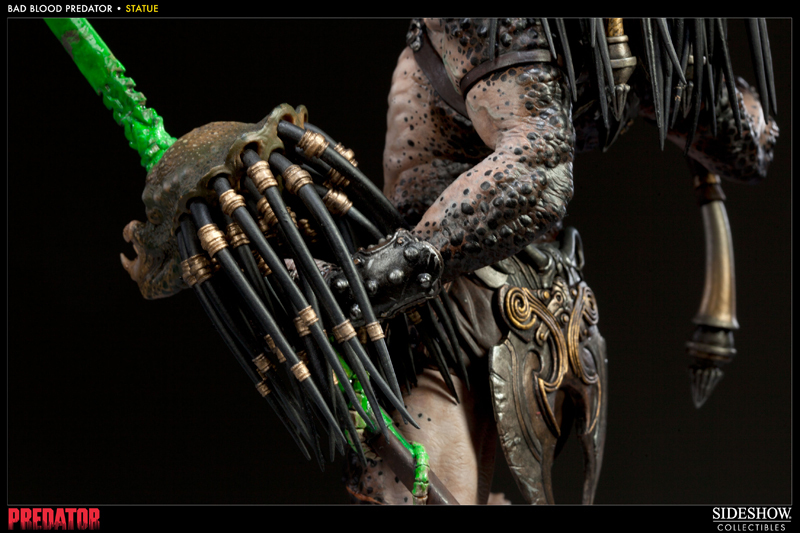 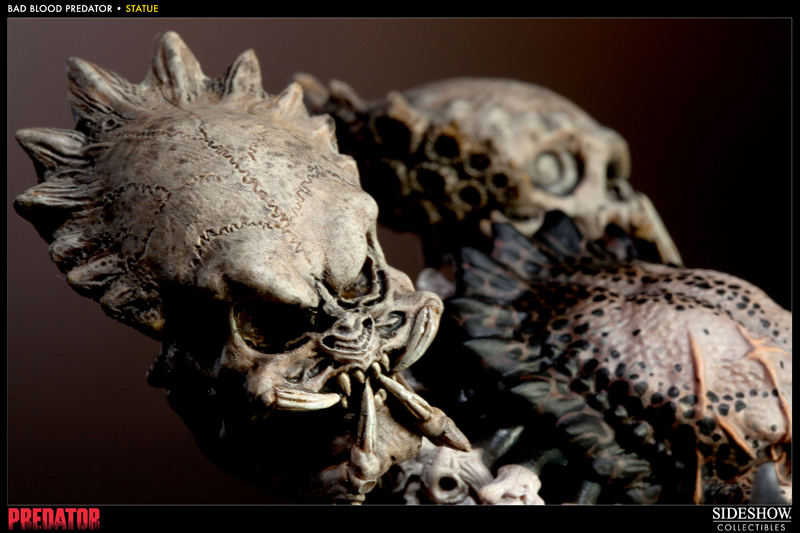 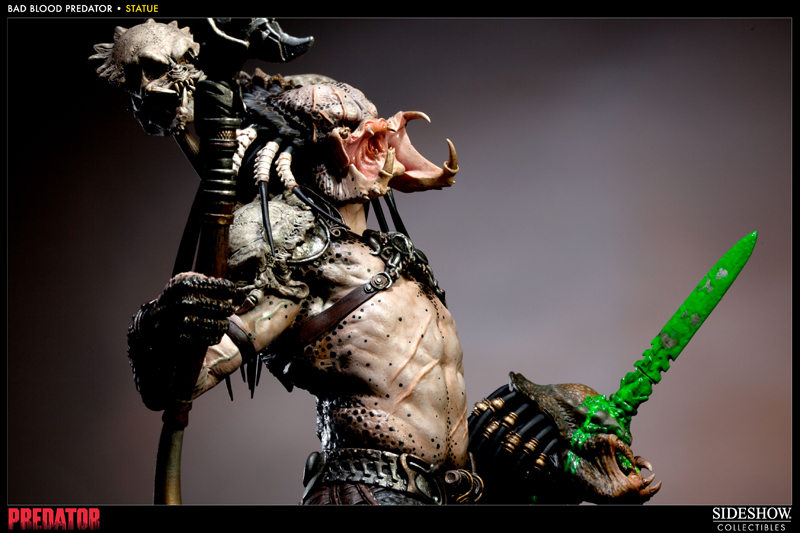 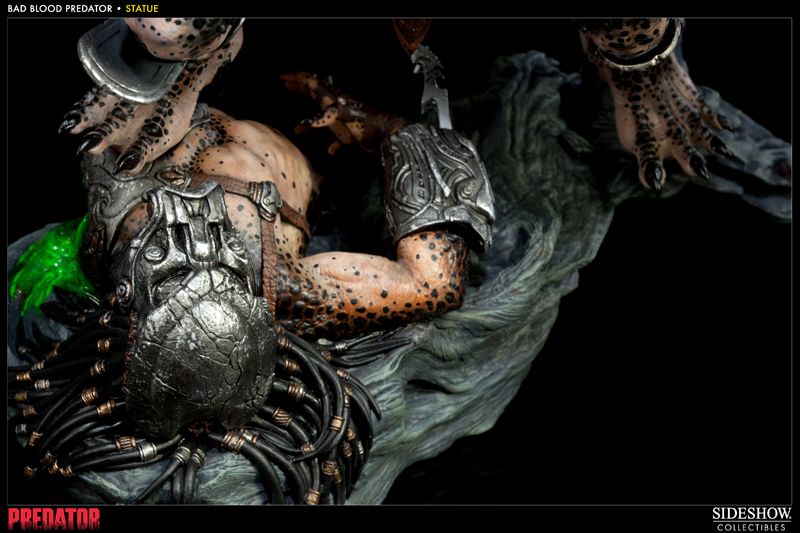 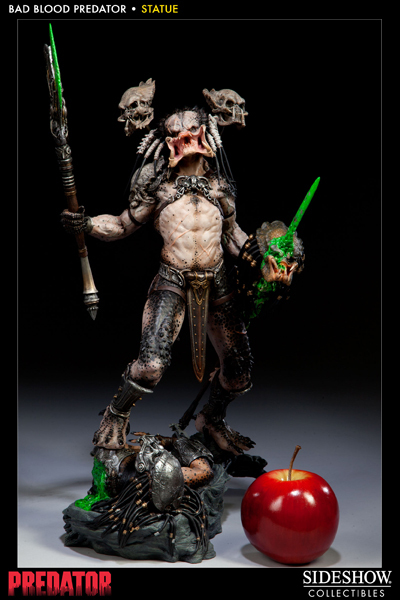 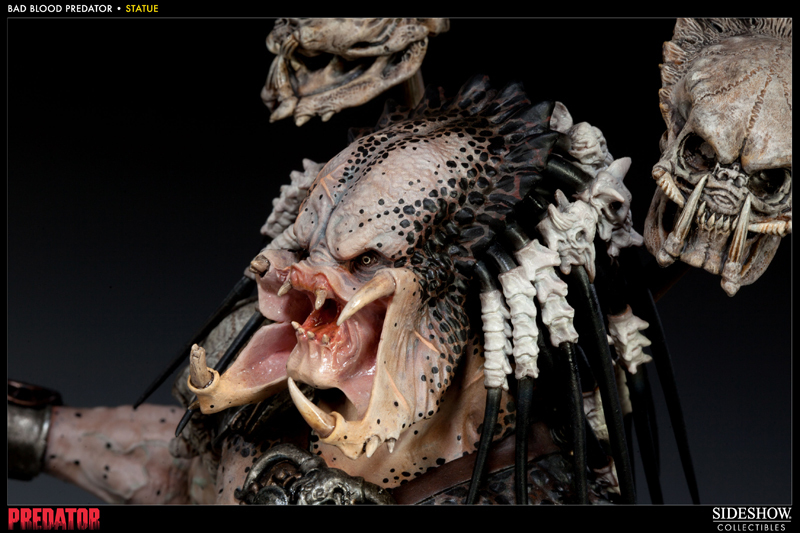 Sideshow Collectibles is proud to present the Predator Bad Blood statue. 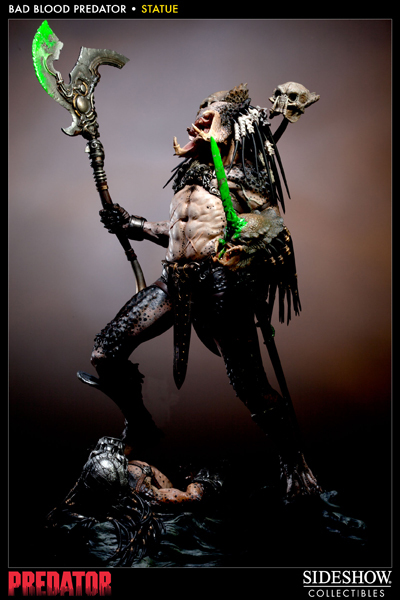 The fierce warrior commands fear and awe, with a severed Predator head impaled on his spear, his axe covered in the blood of his recent kill. 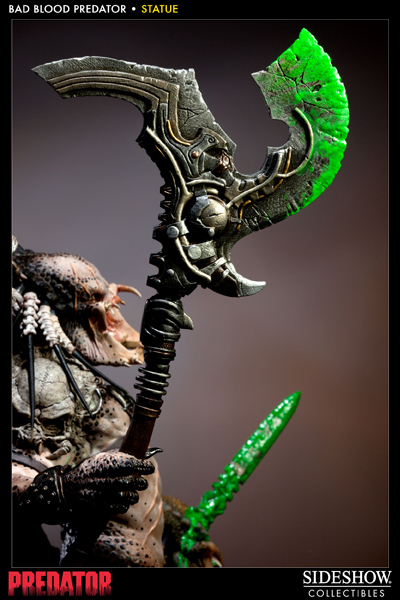 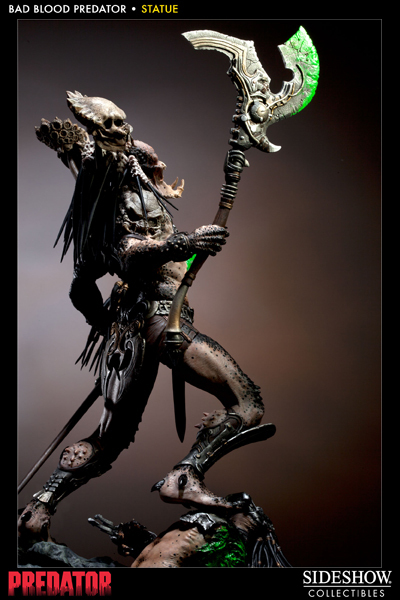 Crafted in approximately 1:6 scale; the rogue Predator stands more than 16 inches tall, with an overall height of 18.5 inches to the tip of his axe. 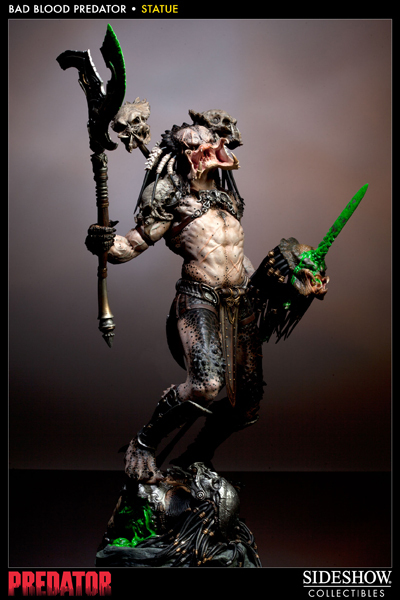 Finished with Sideshow's trademark attention to detail, the Predator Bad Blood statue is a note-worthy addition to any collection.